MILWAUKEE – (September 25, 2018) – Johnson Controls introduces Tyco’s Software House C•CURE 9000 v2.70 Service Pack 2 (SP2), one of the industry’s most powerful security management systems, providing 24x7 mission critical security for people, buildings and assets. This new service pack supports Phase 2 of Tyco’s Innometriks High Assurance Security Solution, offering a deeper integration with C•CURE 9000 for Federal Identity Credential and Access Management (FICAM) deployment. It also provides enhancements to Open Supervised Device Protocol (OSDP), the standard for secure reader-to-panel communication. 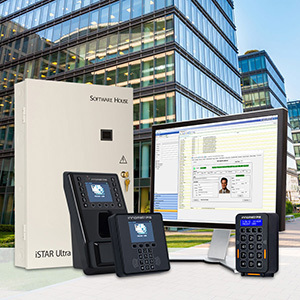 C•CURE 9000 supports Phase 2 of the Innometriks High Assurance Security Solution, featuring easier installation and configuration, native enrollment in C•CURE 9000, and iSTAR Ultra/iSTAR Ultra SE controller support for Innometriks and third-party High Assurance OSDP readers -- without the need for additional hardware. The fully integrated platform offers a robust system for the stringent identity validation needs of the federal government and security-conscious commercial businesses. This updated and enhanced offering provides streamlined setup and configuration, making the deployment of High Assurance quicker and less complicated. C•CURE 9000 v2.70 SP2 also provides enhancements to OSDP reader support. You can now customize reader LED colors, LED patterns, beep patterns and LCD message sets on OSDP readers that communicate with iSTAR Ultra, iSTAR Ultra SE (Ultra mode) and iSTAR Ultra LT controllers for increased functionality at the door. "At Johnson Controls, we pride ourselves in having continuous communication with our customers and our industry partners, which has helped us to elevate C•CURE 9000 and provide a much tighter integration with Tyco’s Innometriks High Assurance Security Solution," said Rick Focke, director of Enterprise Access Control. "This allowed us to make the installation simpler, management more efficient and deployment faster for a less complex solution." C•CURE 9000 SP2 also includes a scramble keypad mode on the Software House TST-100 Touchscreen Terminal, LDAP updates, additional ASSA ABLOY Aperio lock support, and custom certificate management for the IP-ACM v2 Ethernet Door Module when connected to an iSTAR Ultra controller, for added protection against the threat of cyberattacks.